The Arriba Twist System is the greenest air care technology in the industry, including 100% recyclable refills and the first battery-free fan dispersion system. The patented QuickLoad™ design allows the refill to twist in from the bottom without opening the dispenser. 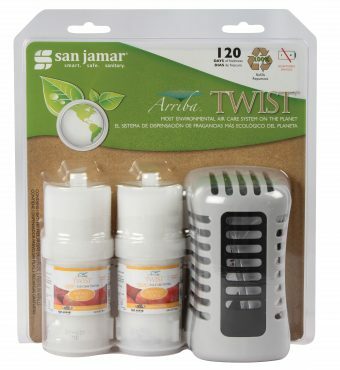 Arriba Stater Packs come with one Arriba Twist Passive and two fragrance refills.